The hunt for dog breeds that do not shed goes on. Have you become resigned to the fact that dog hair is a wardrobe accessory? Is pulling a bit of fur off your tongue after you take a sip of cold coffee part of your daily routine? If so, here are some breed suggestions for your next canine companion. Although there is truly no such thing as a non-shedding dog, some breeds do shed less than others. Find out why dogs shed as well as which breeds are likely to shed the least. It's a fact of life; dogs shed. If someone tells you they know of any dog breeds that do not shed, you'd be wise to remain skeptical. Although some breeds shed far less than others, and some breeds have little coat to speak of, all dogs naturally shed to some extent. So, why do dogs shed? Shedding is a natural process that causes dead hairs to release from the dog's skin so they can be replaced by new hairs. In some breeds, shedding is a seasonal event that happens once or twice a year. 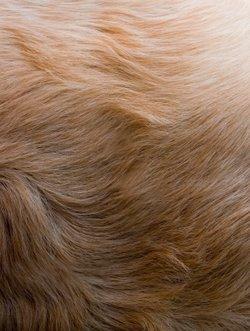 Old hair is shed in the spring to leave the dog with a lighter coat more suitable for warm weather. In the fall, some dogs shed out old hair to make room for a far thicker winter coat that will serve well when the weather becomes chilly. That said, some dogs seem to shed year round. This might be part of the genetic makeup of their breed as seems to be the case with Labrador and Golden Retrievers. However, dogs that live inside climate controlled homes are less susceptible to Mother Nature's seasonal influence, and continue the shed and growth cycle all year long. Since there really aren't any non-shedding canines, pet lovers hoping to lighten their housekeeping load might want to turn to the following dog breeds that do not shed as much as the average pet. Keep in mind that even though you're not as likely to find floating hair around the house with one of these breeds, the hair that is shed often hangs in the coat to eventually form mats. This means that grooming will still be required to keep your dog and your home in top shape. Although the dog breeds mentioned in the table above are fairly low shedders, any dog's health can affect its coat and cause shedding. Dogs with nutritional problems, parasitic infestations, allergies and chronic illnesses are all apt to shed more fur than they might under normal circumstances. Even though it's just about impossible to avoid encountering some loose hair if you share your home with a dog, you can greatly reduce shedding in any dog breed by following these grooming tips. Brush your dog daily, or at least several times a week. Make sure to work your way through the entire coat to remove loose fur that could collect and tangle up in mats. Bathe your dog about twice a month. Bathing promotes good air circulation to the scalp and allows you to remove more dead hair from the coat. If your dog isn't afraid of the sound of the vacuum, try running the hose attachment over him to remove loose fur. Some dogs actually love this activity, as long as you take care never to let the hose come in contact with the dog's body. 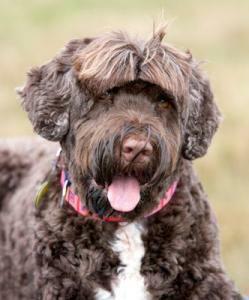 If you have a longer coated breed, consider having the coat professionally trimmed or clipped to keep it neat. So there you have the info on dog breeds and shedding. Do you have experience with a low shedding breed not mentioned in this article? Share your thoughts by leaving them in the comments box below.